Traveling to quilt events can be a wonderful experience but who knows what might happen along the way. This slide lecture is a humorous look at quilts plus the ups and downs in the continuing quest for more fabric. Shelly will bring along quilts inspired by and made from fabrics collected during her travels. Shelly has been collecting vintage toy sewing machines for over forty years. For this trunk show she will bring along many examples of these charming machines from her collection and share details about their history. 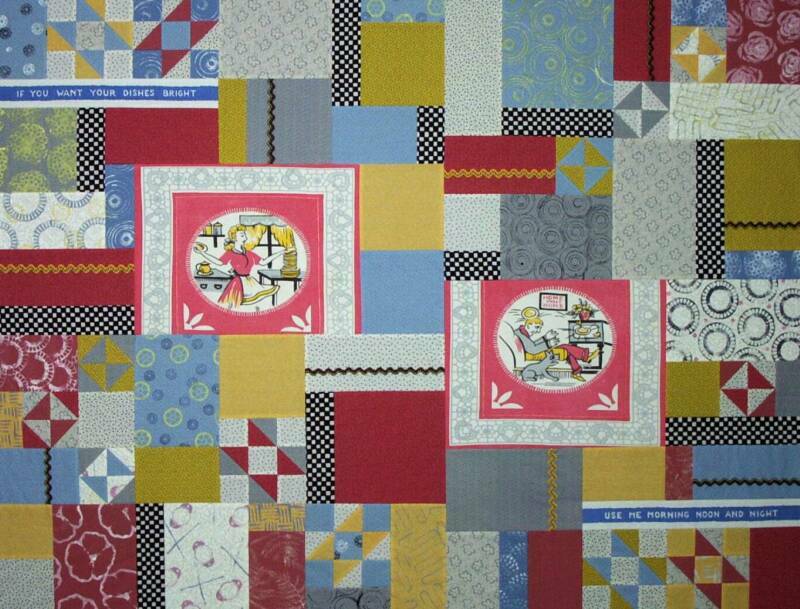 She will also show her quilts inspired by or made using toy machines. Quilters will be excited by this simple but dramatic way to add originality and sparkle to traditional blocks. For this trunk show Shelly will display a large selection of quilts created with her technique and explain how easy it can be to create beautiful unique quilts by adding string pieced fabrics to those quilt blocks we are all so familiar with. Refer to the October 2001 issue of Quilter’s Newsletter Magazine. Shelly will bring a large selection of her quilts and share their humorous stories while she tells how she went from making traditional handquilted pieces to art quilts made with her own hand dyed fabrics and embellished with found objects.